Drawing parallels between the movement for LGBT equality and the Civil Rights movement of the 1960s is a common occurrence. Profound lessons can be learned from this comparison, but first it is necessary to address the complexities of using racial analogies. Many people find the comparison of these two movements frustrating and strongly resent this approach. In Virtual Equality, Urvashi Vaid explains, “prejudice against us as gay people differs significantly from prejudice against people because of race.” She argues that this approach makes “a largely white gay movement [sound] opportunistic.” Furthermore, some believe that these parallels are used to evoke empathy from white people who feel guilty about the way black people were treated. Vaid continues, “if we believe our analogies, we must act as if we cared about racial discrimination as much as about homophobia.” In addition, the fact that racism still persists despite the best efforts to eradicate it also fuels black resentment of gay activists’ use of racial comparisons. Lastly, Vaid emphasises that “By pursuing the path of civil rights, we consciously chose legal reform, political access, visibility, and legitimation over the long-term goals of cultural acceptance, social transformation, understanding, and liberation.” That being said, it becomes clear why we must strive not to equate these two movements even while comparing them so as not to miss out on the important insights that history provides. On the other hand, Yoruba Richen, a documentary filmmaker who identifies as a member of both the African American and LGBT communities gave a TED talk in which she stresses the intersection of the LGBT equality and Black Civil Rights movements. She laments the fact that these movements have been pitted against each other and expresses her anger that these two minority groups are competing with each other instead of supporting each other. 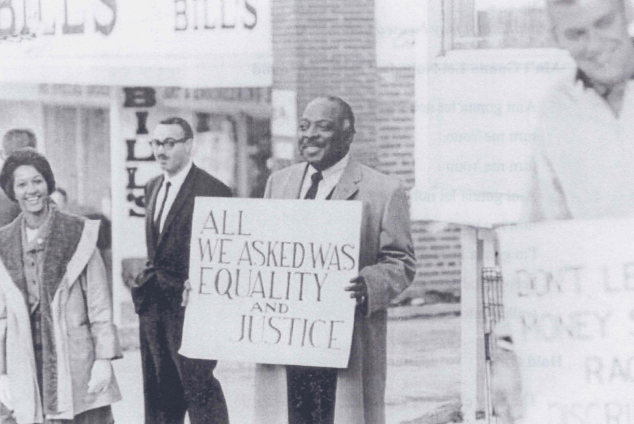 Keeping these different opinions in mind, I hope that examining the similarities between the LGBT equality and Black Civil Rights movements (without equating the two) will help us become equipped with the perspective and understanding we need to not repeat our collective mistakes. In 2009, novelist Chimamanda Adichie gave a TED talk in which she shared several examples illustrating the danger of “the single story.” She explains that, “The single story creates stereotypes, [and] the problem with stereotypes is not that they are untrue, but that they are incomplete.” When people are informed by only a single story, misunderstandings and inaccurate perceptions often result. 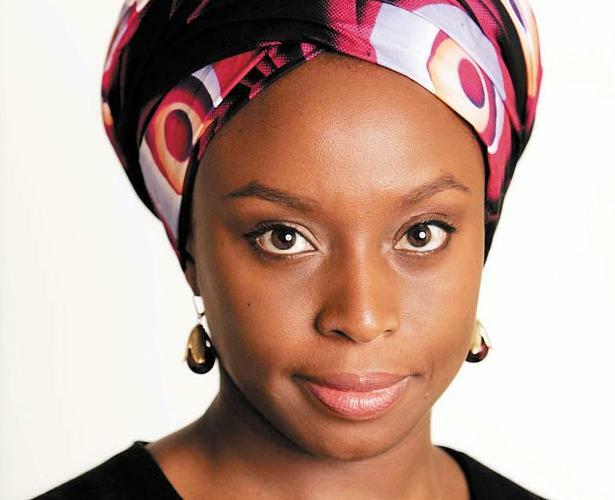 Adichie expanded on the problem of the single story saying that, “it robs people of dignity. It makes our recognition of our equal humanity difficult. It emphasizes how we are different rather than how we are similar.” In order to prevent prejudice that arises from stereotypes based on partial truths, it is important for there to be a balance of stories. Although Adichie’s talk centered on issues of race (watch the TED talk for the full story), the LGBT community is also a group about which only a single story is being told. Although LGBT characters are becoming more represented in the media, many have criticized the stereotypical portrayal of LGBT individuals. Despite the increasing diversity among LGBT characters, the primary focus is still on their sexuality, and this is the focus of the single story that is being communicated about this community. They are pigeon-holed by this single aspect of their identity. In an interview, musician Jennifer Knapp commented that the conversations regarding the intersectionality of faith and sexuality are valuable, but she considers the situation to be a catch-22. She has noticed that “All we do is talk about it and then people get the idea of the stereotypes; that that’s all people are and that’s all they’re made of.” By focusing so much on the sexuality component of an LGBT person’s identity, Knapp contends that, “I’m missing a core part of your experience and who you are. What do you like to read? Who are you inspired by? What’s your family like? Tell me about where you grew up.” If people asked these questions of LGBT individuals, the resulting conversations would lead to a beneficial balance of stories depicting a fuller and more accurate picture of those who make up the LGBT community.